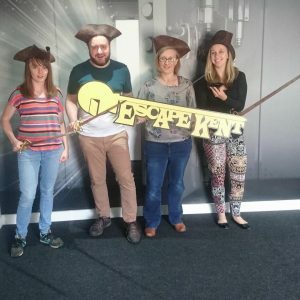 One of the biggest escape room cliches is “start small, expand”. You’ll often start a game in a small space before doing something to discover the existence of a second room that opens up the game. It’s a cliche both because it works well in offering new players a sense of discovery, and because most properties are generally divided into rooms for you already, so it’s easier to do. Not so Pirates of the Stormy Seas. On entering you can see and access the entire game area. And while other games have done this before, perhaps even with larger or more densely populated rooms, the way this game does it… well, let’s just say it’s on another level. So the initial impact is strong. It looks, frankly, like you’d expect a pirate ship to look. Few games provide such a strong up-front impression in terms of set design. Having said that, what you see is what you get: that initial moment of wonder is it, there’s no secondary secret areas to be found. Nevertheless, it’s an area you instantly want to explore. Whether it’s the pirate theme, the quality of the set or just the scale of it, but it induces a certain sort of child-like glee in knowing you’ll get to spend the best part of an hour playing in this space. There’s an in game video briefing which is a bit cringe-worthy, but it’s fine because this isn’t a gritty, realistic pirate adventure. 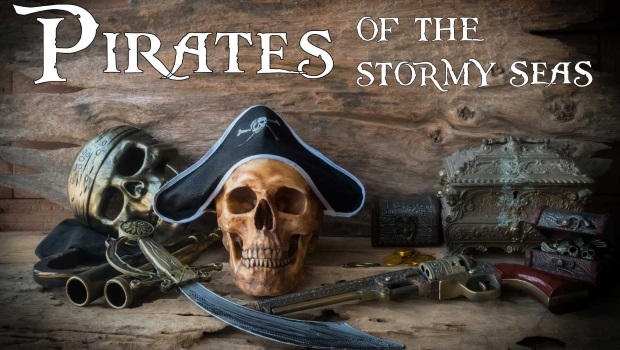 It’s a tongue in cheek romp through some pirate cliches. Hell, the very last thing you’ll do is basically an elaborate jokey reference to something those of a certain age will remember well. The video informs you of your task to board the ship and find “the black diamond” and that’s exactly what you’re going to do. Of course, the ship is going to sink in, well, exactly sixty minutes. The puzzles are all fairly strong, though none in particular stand out. There was one instance where we got stuck after assuming two things were linked, but it turned out they weren’t, but that’s at least as much down to our stupidity as bad design. The design of the set itself adds a level of physicality to the game (though it’s perfectly playable if you have at least one person who is fairly mobile) and also contributes to a nice co-operation / communication puzzle. 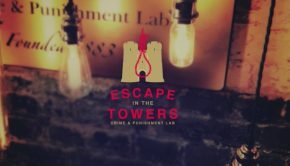 It’s a game that very much succeeds in creating an atmosphere: through an impressive set, on theme puzzles and relevant sound effects and music. It’s not trying to create a gritty pirate adventure atmosphere, but more of a knock-around Secret of Monkey Island-style experience, and it does this very well. Of the games we played in Canterbury it perhaps felt the most generic, but still a very enjoyable game. Summary: A game that makes a strong initial impression, and while the rest of the game can't quite live up to that, it doesn't let it down either, leading to an experience that's certainly above average.